SPECIAL FRONTIER FORCE – THE MILITARY CONFLICT WITH CHINA: India cannot reconcile with People’s Republic of China’s military occupation of Tibet. 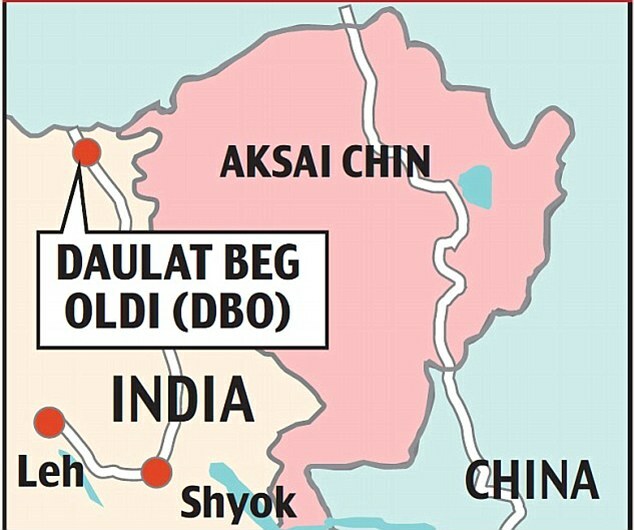 On April 15, 2013 Indians have discovered evidence of China’s military expansionism in the sector called Daulat Beg Oldi of India’s Ladakh region. India has no official boundary with People’s Republic of China. The Red Dragon wants to legalize its military occupation of Tibet and other territories taking full advantage of its military and economic strength. China’s military expansionism is a bubble and it will burst as China attempts to further increase its size. I am pleased to share the essay,’Lesson from an Unsettled Boundary’, written by Manoj Joshi (a Distinguished Fellow at the Observer Research Foundation, New Delhi) that is published in India’s national newspaper ‘The Hindu’ in its edition dated April 27, 2013 with my readers. It is not a big surprise that the boundary between India and China is not settled. It should remain undecided as India cannot reconcile with People’s Republic of China’s military occupation of Tibet. India has no border with China. There is a border dispute between Tibet and China and that is an issue that could be resolved when Special Frontier Force, the military alliance/pact between the United States, India, and Tibet accomplishes its primary mission of evicting the occupier from the Land and territories of Tibet. In March 1954, the Union Cabinet met and decided to unilaterally define the border of India with China. The colour wash was replaced by a hard-line, and the Survey of India issued a new map, which depicts the borders as we know them today. All the old maps were withdrawn and the depiction of Indian boundaries in the old way became illegal. Indeed, if you seek out the White Paper on Indian States of 1948 and 1950 in the Parliament library, you will find that the maps have been removed because they too showed the border as being “undefined” in the Central and Western sectors. 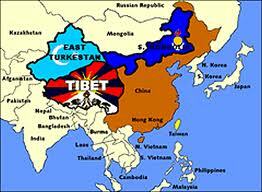 It is not as though the Chinese have a particularly good case when it comes to their western boundary in Tibet. The record shows that the Chinese empire was unclear as to its western extremities, and rejected repeated British attempts to settle the border. The problem in the Aksai Chin region was further compounded by the fact that this was an uninhabited high-altitude desert, with few markers that could decide the case in favour of one country or the other. But there was cause for the two countries to sit down and negotiate a mutually acceptable boundary. This as we know was not to be and, since then, the process has gone through needless tension and conflict. In the initial period, India’s focus was on the McMahon Line which defines the boundary with China in what is now Arunachal Pradesh. It tended to play down the issue of Aksai Chin because it was a remote area and of little strategic interest to India. But for China, the area was vital. Indeed, according to John W. Garver, it was “essential to Chinese control of western Tibet and very important to its control of all of Tibet.” In other words, in contrast to India’s legalistic and nationalistic claims over the region, for China, control over Aksai Chin had a geopolitical imperative. For this reason, it entered the area, built a road through it and undertook a policy to expand westward to ensure that the road was secure. India woke up to the issue late and when it sought to confront the Chinese through its forward policy in 1961, it was already too late. And the 1962 war only saw a further Chinese advance westward which led to almost the entire Galwan River coming under the Chinese control. We can only speculate on the causes of their present westward shift in the Daulat Beg Oldi area. But one thing is clear: the central locomotive of Chinese policy remains Tibet. Despite massive investments in the region, large numbers of Tibetans remain disaffected. No country in the world, including India, recognises Tibet as being a disputed territory yet, for two reasons. The Chinese constantly seek reassurance from New Delhi about its intentions. First, because of the past support that Tibetan separatist guerrillas got from the U.S. and India, and second, because of the presence of the Dalai Lama and the Tibetan government-in-exile in India. Despite the massive growth of Chinese power, their insecurities remain high. In great measure, they are due to Beijing’s own heavy-handed policies and only China can resolve the issues through accommodation and compromise with its own people. But typical of governments, Beijing seeks to deflect the blame of its own shortcomings on outsiders. There could be other drivers of the tension as well. In the past five years, the Chinese have been generally assertive across their periphery and this could well be an outcome of policy decisions taken by the top military and political leadership of the country or, as some speculate, because of an inner-party conflict. Exaggerated Chinese maritime boundary claims have brought them into conflict with the ASEAN countries, principally the Philippines, Vietnam and Malaysia. A separate order of tension has arisen with Japan over the Senkaku islands in the East China Sea. In the case of India, an important initiative to resolve the border dispute through Special Representatives has been allowed to run aground. Another possible explanation for the Chinese behaviour could be the steps India is taking with regard to its military on its borders with China. India’s border infrastructure and military modernisation schemes have been delayed by decades. But in recent years, there have been signs that New Delhi may be getting its act together. In any case, the cumulative impact of the huge defence expenditures since 2000 is beginning to show in terms of better border connectivity and modernisation programmes. This momentum could see Indian forces’ confrontation with China become even stronger when you take into account new manpower and equipment such as mountain artillery, attack helicopters, missiles and rocket artillery. Even so, it would be hazardous to speak definitively about Chinese motivations. After being lambasted by the Indian media for occupying “Indian territory,” the Chinese might be concerned about losing face with a hasty retreat. The fact of the matter is that the boundary in the region is defined merely by a notional Line of Actual Control, which is neither put down on mutually agreed maps, let alone defined in a document through clearly laid out geographical features. While both sides accept most of the LAC and respect it, there are some nine points where there are overlapping claims and both sides patrol up to the LAC, as they understand it. In such circumstances, the Chinese could well withdraw after a decent interval. 2013 is not 1962 and the Indian media and politicians should not behave as though it was, by needlessly raising the decibel level and trying to push the government to adopt a hawkish course on the border. But what the recent controversy does tell us is unsettled borders are not good for two neighbours because they can so easily become the cause of a conflict that neither may be seeking. When all is said and done. It will be a futile for us to sabre rattle over this issue. If the superpowers like the US and the former USSR could discuss issues and arrive at solutions why should we not do it with China. Our two great Asian countries have so many cultural similarities and propensities.Eventually Chinese communism would also fade away as the Marxist theology evaporated in the former USSR.I would not count upon our Indian Marxists to be a realist group in international politics. Thanks for visiting the blog post and sharing your view. We are dealing with a real issue of military expansionism. China apart from its occupation of Tibet had already captured and effectively occupied territory both in India, and Pakistan-occupied Kashmir. While we discuss the issue, we should do our best to evict them from Indian territory and later from Tibet. India must welcome United States to conduct joint military training exercises in Ladakh region.